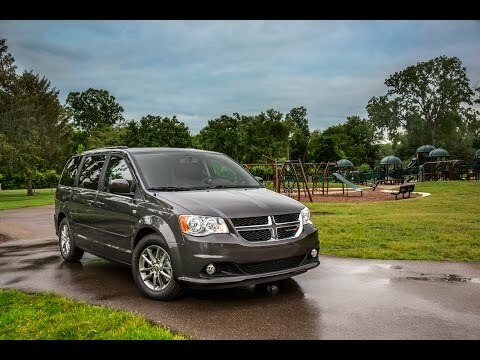 In the Dawn Age of Minivans, the Dodge Caravan was the first and it's still in the game, hauling kids to school and families to the mall. Among its attractions are a nice interior, a powerful V6 engine, and lots of handy and thoughtful features, such as seating that can stow in the floor for hauling larger cargo. Comfortable. Roomy. Decent mileage. Few repairs over the years. Since we started buying vans, this is the only model we go with. We are down to just two of us now but we travel a lot and this vehicle is comfortable and gets decent mileage. There is plenty of room and we love the stow and go seats. They are easy to adjust which gives us more room to pack. If they are upright there is ample space to put items below and if you put them under, which we have to do when traveling with our larger dog, there is still plenty of space available. I am short and the front seats adjust to my size easily so I can reach pedals and see over the hood. We have had very few mechanical problems with the three we have owned and recommend them to families. I feel as safe as one can in any vehicle while driving this van and was protected by the airbags when someone rammed into the back driver’s side and into a pole. Great in the snow with studded snow tires here in Maine even though it is just front wheel drive. I purchased this 2014 Grand Caravan from a salvage dealer for $3,895. Low mileage but hit on the driver's door. I am disabled and needed a vehicle that my Service Dog could ride comfortably with me. With the help of family & friends, we replaced the door and the side curtain airbag. The repairs were less than $1,000. With only 20,740 miles on the odometer, this van was like new. It is easy for me to drive, Plenty of room for my Service Dog. It gets 28-30 mpg. The Stow-N-Go seats fold down so I can carry larger items in the back. I have absolutely no complaints. I would buy a new Grand Caravan or Chrysler Pacifica in a heartbeat. The only thing I would like to have is power sliding doors and windows in the rear that would open. This is more for the comfort and access of my Service Dog than it is for myself. It's a terrific vehicle. Easy to reconfigure the interior to suit all your needs. I love the stow and go seats in my 2014 Dodge Grand Caravan as it is easy to put the seats away and you can store items in the wells when the seats are up. I do wish that I had gone up a model so that I had the remote start, automatic side doors, automatic lift gate, and that the second row windows rolled down at least half way, like my old van. I do not like the blind spots that I have discovered as I have come close to hitting people. I have considered adding a towing package, but it costs too much right now, but would be nice to have or the luggage bars across the rooftop. I did add a DVD player to help with long trips as this van did not come with one factory installed like my other van.